For honeymoon numero TRES, Josh and I journeyed over to Japan, the land of the sushi gods. For those of you who don’t already know this, Tokyo is MASSIVE. And on top of being geographically enormous, it’s literally the most heavily populated metropolitan city in. the. world. So how on earth were hubby and I supposed to see all of it in just 3 days? Spoiler alert: it’s impossible. But here’s some insight on how to maximize your time in Tokyo, and cover as much ground as possible. Before we get started, here’s a tip: organize your days into neighborhoods. For example, if you want to hit bustling Shinjuku, the streets of Shibuya, Meji Shrine and Takeshita Street in Harajuku, all of those things should be grouped together and conquered in one day since they’re near each other. 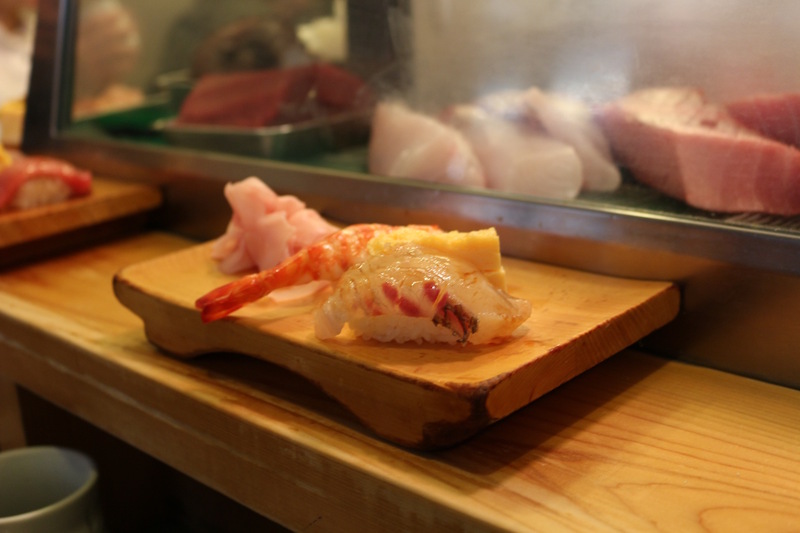 Day 1: Wake up super early to visit Tsukiji Fish Market (#1). If you’re dying to see the live tuna auction, make sure you’re up and at it because only 120 people get access to the auction each day. In this case, you literally snooze, you lose. The auction is usually full by about 3AM, but fear not — if you don’t want your nice new Nikes to slosh around in fish guts anyway, you can get there after 9AM to snack on some soosh and explore the market itself. 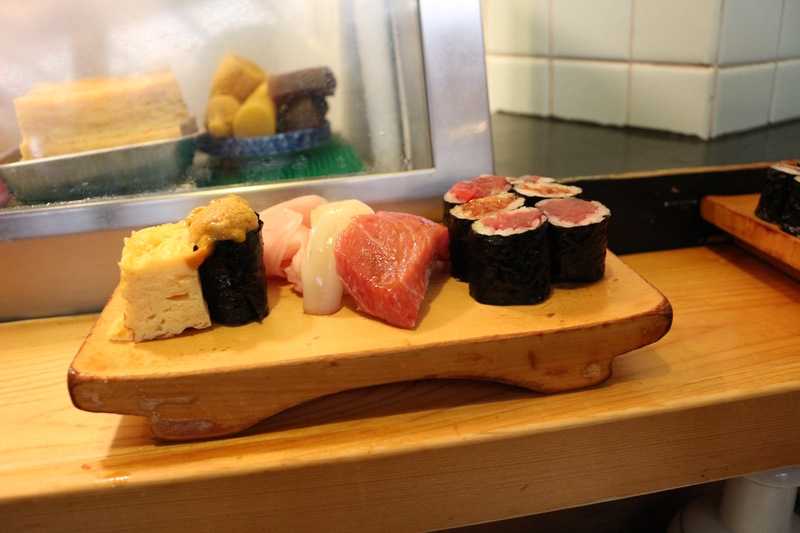 There are famous sushi spots like Sushi Dai and Sushi Daiwa that have hour-long lines for their $30 omakase set. We waited about 45 minutes for Sushi Daiwa and while the fish was fresh and yummy, it wasn’t necessarily the best meal of my life. Important note: Tsukiji is closed on many Wednesdays and Sundays, so click here for the 2017 calendar. After the market, make your way to Senso-ji (#2) — it’s one of Tokyo’s most colorful Buddhist temples. If you happen to work up another appetite, there’s a ton of little food stalls surrounding the temple, serving everything from meat to sweets and stuffed pancakes. We then hopped on the train to Ginza, to see the famous Ueno Park (#3). 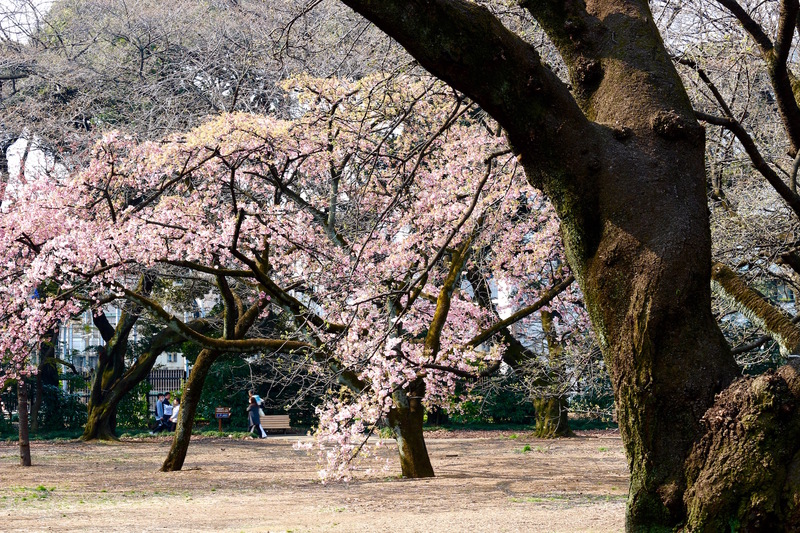 It’s important to note that this park is not a must-see if it’s not cherry blossom season. We were so tired by this point that we took a 3-hour nap and woke up just in time to meet Akiko, our Tokyo Free Guide (#4)! Tokyo Free Guide is basically a free volunteer guide service that matches you with a tour guide based on what you want to do…whether it’s sightseeing, eating/drinking or doing something culturally immersive. Ok, so arranging a Tokyo Free Guide is not technically a “thing to do in Tokyo”, but it counts because spending time with a local doing local things is one of the best ways to genuinely experience a new place. Akiko took us to Yakitorisenta in Shibuya, which was an authentic Izakaya. We had a ton of Japanese bar food like meat skewers and whiskey highballs. It was so fun telling Akiko what we liked to eat in English, and then having her order a ton of local stuff that we would’ve never known to try on our own. Honestly one of the best nights of the trip. Drunk, we wandered through the streets of Shibuya until we landed back on Shibuya Crossing (#5), the busiest intersection in the world. Day 2: We started our day at a gorgeous national garden called Shinjuku Gyoen (#6). Even if it wasn’t cherry blossom season, this park would still be a stunner because it’s super lush with a Central Park vibe. You could even pack a little lunch picnic and eat on the grounds, strategically near the 60-year-old men doing Tai Chi for a little free entertainment. After exactly one shortcut lap, we hit the train for Harajuku. I kept my eyes peeled for girls in whacky outfits but sadly, saw none. 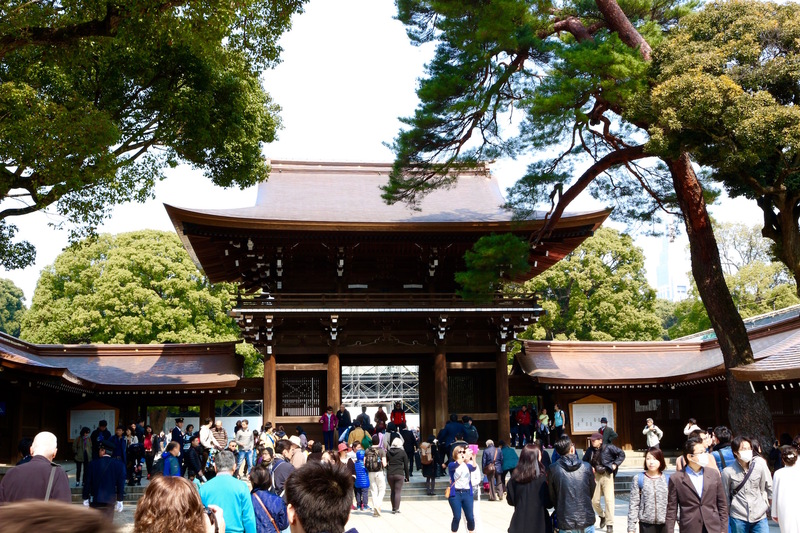 Harajuku is also home to Meji Shrine (#7), so you can experience a little history before soaking up all the cool vibes of this trendy neighborhood. Harajuku reminded me a lot of 5th Ave, lined with luxury shops and cute little cafes. For lunch, you MUST go to Ichiran (#8). There’s an Ichiran in almost every neighborhood so it doesn’t have to be the Harajuku loc, but that’s just where we went. 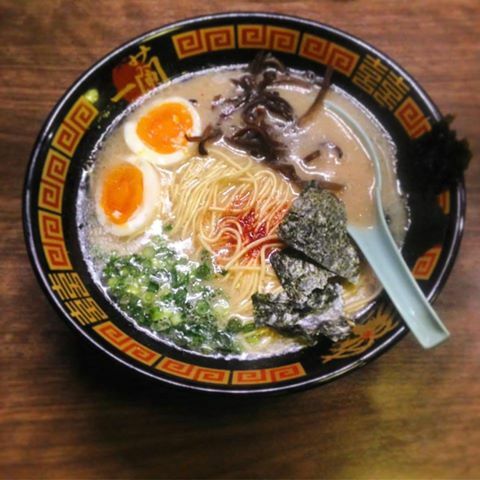 You’ll basically order your dream ramen from a vending machine (only the tickets with your order pop out, not the ramen itself LOLOLOL) and then have the option to select the richness and oiliness of your broth + the firmness of your noodles. And holy hell, it’s good. After a quick and very necessary nap, we headed over to Tokyo Tower. I’m not highlighting this one because it was a waste of time. Pretty much all 4- and 5-star hotels in Tokyo have beautiful city views, so you certainly don’t need to venture over to the Tokyo version of Eiffel Tower to see the skyline. SKIP. We headed straight to Kurand Sake Market (#9) after this mistake visit, and drank our sorrows away via unlimited tastings of over 100 types of sake ($27 per person). The market was filled with locals, and probably would’ve been more fun had we gone with a group or a Tokyo Free Guide ( aka a forced friend). You can also bring any kind of food you want in there, so it’s a good time to test out the Tokyo takeout scene. Day 3: We spent the morning traveling over to Hakone (#10), and spent a couple of nights soaking in the hot springs/eating Nobu but this can totally be done as a daytrip. Save your Hakone visit for a clear day, and try to head over first thing in the morning to catch a glimpse of Mt. Fuji. On the way, you stop by Odawara Castle (a mini version of Himeji) or hit up the Hakone Open Air Museum, while relaxation seekers might enjoy a kaiseki lunch and spa day at Gora Kadan. 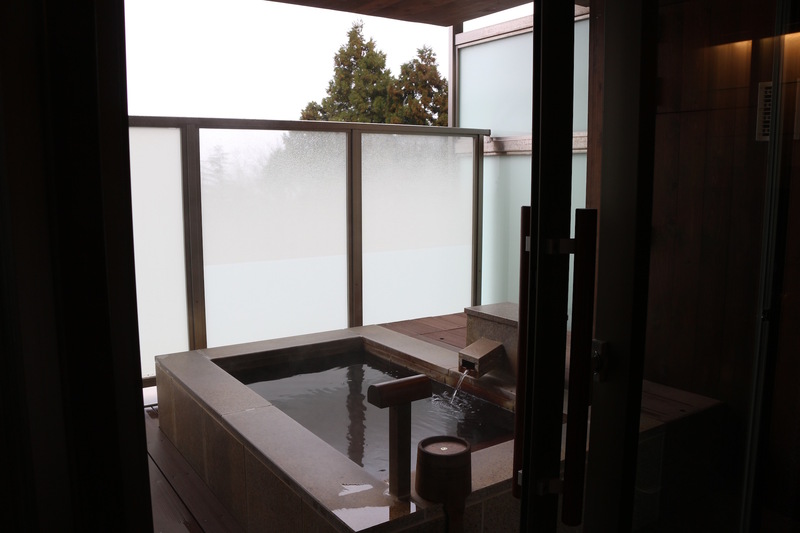 The only must in Hakone is that you get naked in the natural hot springs at least once. So there you have it, folks. 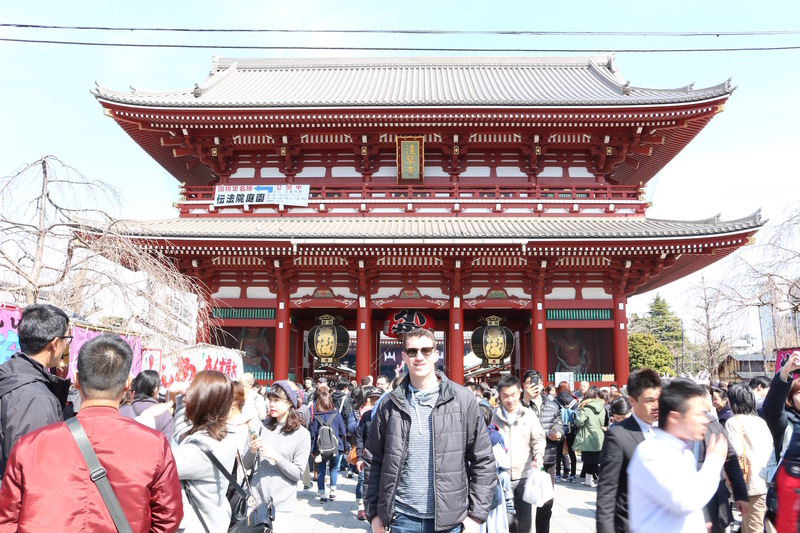 We stayed pretty busy in Tokyo, but I always recommend leaving ample time for exploration. If you try to pack in too much, you won’t have any time to get lost, stumble upon a sweet-smelling matcha bakery or a hedgehog cafe. Sometimes it’s the spaces between the planned stuff that end up being the most memorable. To start planning your Japan trip, click here.